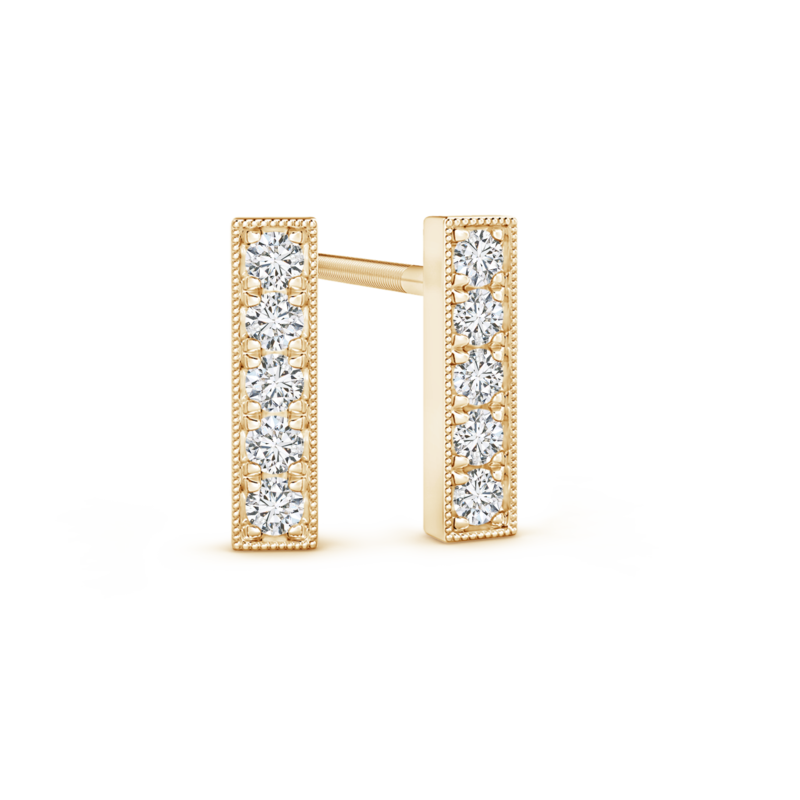 All the elements of this classy pair of stud earrings showcase refined craftsmanship and exceptional quality. The luminous lab grown diamonds, pave set within the bar frames, are undeniably the most captivating part of this fine piece of jewelry. The radiant 14k white gold metal complements the beauty of the gems, while milgrain detailing on the silhouette completes this picture of sheer elegance. A versatile creation, this pair of diamond bar earrings will find a way to your heart with much ease.